I have written about this concept in many of my books but I’ve never done the full description here on my blog. 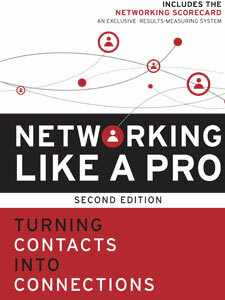 So – for the first time, here’s a thorough description of the three phases of networking: The VCP Process. The key concept in referral marketing is relationships. The system of information, support, and referrals that you assemble will be based on your relationships with other individuals and businesses. Referral marketing works because these relationships work both ways: they benefit both parties. A referral marketing plan involves relationships of many different kinds. Among the most important are those with your referral sources, with prospects these referral sources bring you, and with customers you recruit from the prospects. These relationships don’t just spring up full grown; they must be nurtured. As they grow, fed by mutual trust and shared benefits, they evolve through three phases: visibility, credibility, and profitability. We call this evolution the VCP Process®. Any successful relationship, whether a personal or a business relationship, is unique to every pair of individuals, and it evolves over time. It starts out tentative, fragile, full of unfulfilled possibilities and expectations. It grows stronger with experience and familiarity. It matures into trust and commitment. The VCP Process describes the process of creation, growth, and strengthening of business, professional, and personal relationships; it is useful for assessing the status of a relationship and where it fits in the process of getting referrals. It can be used to nurture the growth of an effective and rewarding relationship with a prospective friend, client, co-worker, vendor, colleague, or family member. When fully realized, such a relationship is mutually rewarding and thus self-perpetuating. The first phase of growing a relationship is visibility: you and another individual become aware of each other. In business terms, a potential source of referrals or a potential customer becomes aware of the nature of your business – perhaps because of your public relations and advertising efforts, or perhaps through someone you both know. This person may observe you in the act of conducting business or relating with the people around you. The two of you begin to communicate and establish links – perhaps a question or two over the phone about product availability. You may become personally acquainted and work on a first-name basis, but you know little about each other. A combination of many such relationships forms a casual-contact network, a sort of de facto association based on one or more shared interests. The visibility phase is important because it creates recognition and awareness. The greater your visibility, the more widely known you will be, the more information you will obtain about others, the more opportunities you will be exposed to, and the greater will be your chances of being accepted by other individuals or groups as someone to whom they can or should refer business. Visibility must be actively maintained and developed; without it, you cannot move on to the next level, credibility. Credibility is the quality of being reliable, worthy of confidence. Once you and your new acquaintance begin to form expectations of each other – and the expectations are fulfilled – your relationship can enter the credibility stage. If each person is confident of gaining satisfaction from the relationship, then it will continue to strengthen. Credibility grows when appointments are kept, promises are acted upon, facts are verified, services are rendered. The old saying that results speak louder than words is true. This is very important. Failure to live up to expectations – to keep both explicit and implicit promises – can kill a budding relationship before it breaks through the ground and can create visibility of a kind you don’t want. To determine how credible you are, people often turn to third parties. They ask someone they know who has known you longer, perhaps done business with you. Will she vouch for you? Are you honest? Are your products and services effective? Are you someone who can be counted on in a crunch? The mature relationship, whether business or personal, can be defined in terms of its “profitability.” Is it mutually rewarding? Do both partners gain satisfaction from it? Does it maintain itself by providing benefits to both? If it doesn’t profit both partners to keep it going, it probably will not endure. The time it takes to pass through the phases of a developing relationship is highly variable. It’s not always easy to determine when profitability has been achieved – a week? a month? one year? In a time of urgent need, you and a client may proceed from visibility to credibility overnight. The same is true of profitability; it may happen quickly, or it may take years – most likely, somewhere in between. It depends on the frequency and quality of the contacts, and especially on the desire of both parties to move the relationship forward. Shortsightedness can impede full development of the relationship. Perhaps you’re a customer who has done business with a certain vendor off and on for several months, but to save pennies you keep hunting around for the lowest price, ignoring the value this vendor provides in terms of service, hours, goodwill, and reliability. Are you really profiting from the relationship, or are you stunting its growth? Perhaps if you gave this vendor all your business, you could work out terms that would benefit both of you. Profitability is not found by bargain hunting. It must be cultivated, and, like farming, it takes patience. Visibility and credibility are important in the relationship-building stages of the referral marketing process. But when you have established an effective referral-generation system, you will have entered the profitability stage of your relationships with many people – the people who send you referrals and the customers you recruit as a result. We simply can’t achieve success at networking without strategically building VCP = visibility, earning credibility, and then ultimately gaining profitability. VCP is a referral process, not a sales process. If the majority of your clients aren’t giving you referrals, then you are only at Credibility with your clients, not at Profitability. It’s possible that you can have a lot of Visibility and a lot of Credibility, but NOT have Profitability. Rather than a formula, VCP is a continuum. Before you can refer to someone, you will need to know, like, and trust them. In this guest video blog, Tiffanie Kellog, a trainer for Asentiv Florida, explores the three stages of the VCP process. Click here to watch. Are You Prepared to Enhance Your Credibility? The VCP Process is the foundation of building a referral-based business. While this general business-building philosophy isn’t going to automatically increase your business, there are plenty of benefits to increasing your visibility and your credibility. 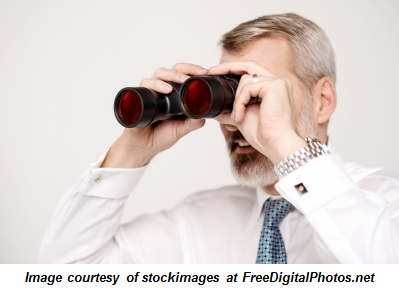 Visibility is usually pretty easy for businesspeople to get on board with. You attend extra networking events, look into other forms of marketing, reach out to new client bases. Credibility is where, time and again, we see more people struggling to build up that quality reputation of being credible. Articles on trends affecting your target market. Photos of awards and certificates you and your staff have earned. With a little foresight, it can be incredibly easy to get all of the basic supplies you’ll need to prove your credibility and increase your word-of-mouth marketing campaign. What items do you use on a regular basis to show your potential clients and business networks that you are a credible candidate to help them with their needs? Let me know in the comments below! 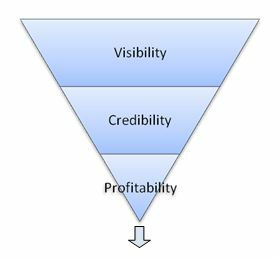 In last Thursday’s blog, I explained that visibility, the first phase of the VCP Process®, brings the opportunity to build credibility and that credibility is what will ultimately get you to profitability, where you’ll actually benefit from your networking and relationship building efforts. So how do you move from visibility to credibility? Well, once you and another individual achieve visibility with each other, meaning you’re aware of each other and the nature of each other’s business, you begin to form expectations of one another; once those expectations are fulfilled, your relationship can enter the credibility stage. If each person is confident of gaining satisfaction from the relationship, then it will continue to strengthen. Credibility is the quality of being reliable, worthy of confidence. 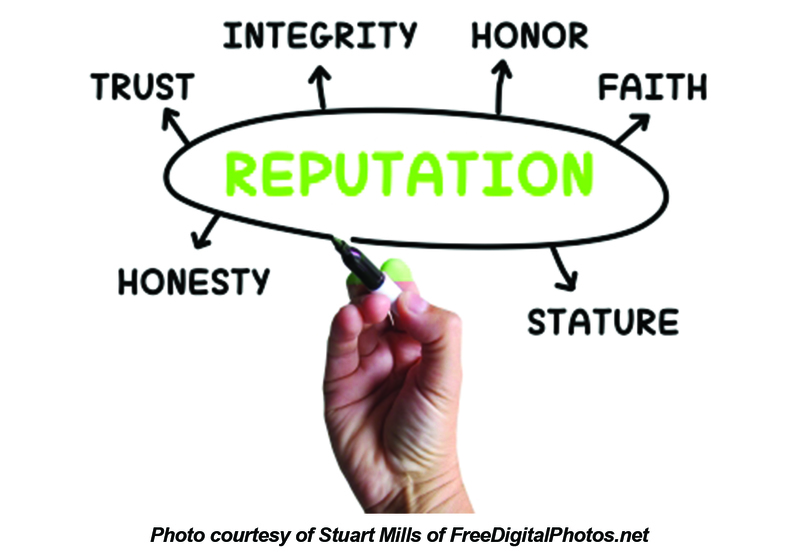 Credibility grows when appointments are kept, promises are acted upon, facts are verified, and services are rendered. The old saying that results speak louder than words is true. Failure to live up to expectations–to keep both explicit and implicit promises–can kill a budding relationship before it breaks the surface of the ground and can create visibility of a kind you don’t want. To determine how credible you are, people often turn to third parties. 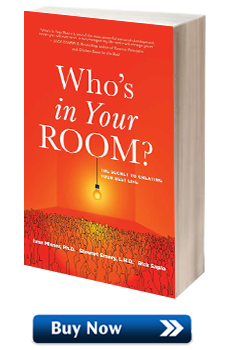 They ask someone they know who has known you longer or perhaps has done business with you. So, how credible are you? 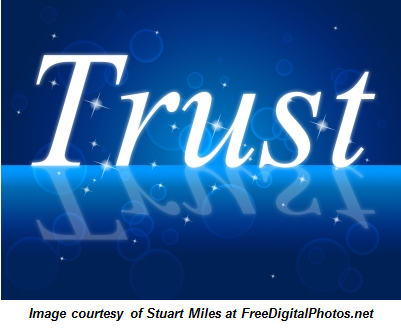 Would the people in your network vouch for you by saying that you are reliable and honest, your products and services are effective, you keep your appointments, act on your promises, deliver results as expected, and can be counted on in a crunch? If you’re not sure, now is the time to make a strategic effort to build your credibility; without credibility, you can forget about achieving profitability. If you’re interested in learning more about profitability (If you’re in business, it’s safe to assume you’re very interested. ;-)), the third phase of the VCP Process®, and when you should expect to achieve it with your contacts, be sure to come back and read this Thursday’s blog. Last week I wrote a blog explaining the VCP Process, which is a huge part of the foundation of networking. Because this process is so crucial to effective networking, I promised to write a blog entry for each of the three phases (visibility, credibility and profitability), and today I’m going to talk about why it all starts with visibility. The first phase of growing a relationship is visibility: You and another individual become aware of each other. In business terms, a potential source of referrals or a potential customer becomes aware of the nature of your business–perhaps because of your public relations and advertising efforts, because of your social media presence or perhaps through someone you both know. This person may observe you in the act of conducting business or relating with the people around you. The two of you begin to communicate and establish links–perhaps a question or two over the phone or via e-mail messages about product availability. You may become personally acquainted and work on a first-name basis, but you know little about each other. A combination of many such relationships forms a casual-contact network, a sort of de facto association based on one or more shared interests. I’ll talk more about credibility next week, but it’s important to understand that visibility brings the opportunity to build credibility, and credibility is what will get you to profitability, where you’ll actually benefit from your efforts. So many times people try to jump straight from visibility to profitability, and that’s not real networking; it’s just an obvious ploy to get something from your new contacts. That’s nothing more than a bad attempt at direct selling and a big waste of time. So, how do you go about creating more visibility for your business? What are some strategies that have really worked out well for you? I’d love to hear your comments. What is the VCP Process? The key concept in referral marketing is relationships. The system of information, support and referrals that you assemble will be based on your relationships with other individuals and businesses. Referral marketing works because these relationships work both ways: They benefit both parties. A referral marketing plan involves relationships of many different kinds. Among the most important are those with your referral sources, with prospects these referral sources bring you and with customers you recruit from the prospects. These relationships don’t just spring up full-grown; they must be nurtured. As they grow, fed by mutual trust and shared benefits, they evolve through three phases: visibility, credibility and profitability. We call this evolution the VCP Process(R). Any successful relationship, whether a personal or a business relationship, is unique to every pair of individuals, and it evolves over time. It starts out tentative, fragile, full of unfulfilled possibilities and expectations. It grows stronger with experience and familiarity. It matures into trust and commitment. The VCP Process describes the process of creation, growth and strengthening of business, professional and personal relationships; it is useful for assessing the status of a relationship and where it fits in the process of getting referrals. 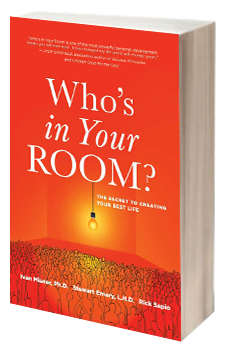 It can be used to nurture the growth of an effective and rewarding relationship with a prospective friend, client, co-worker, vendor, colleague or family member. When fully realized, such a relationship is mutually rewarding and, thus, self-perpetuating. This simple concept has made a bigger difference in more people’s networking efforts than any other single idea I’ve discussed. For this reason, I’m going to devote the next few blogs I write to explaining each step of the VCP Process individually. Come back on Monday to learn why it all starts with visibility . . . I guarantee you you’ll want to read this one!